This presentation is the collaborative effort of Angie Oliverson, Jennifer Oldham, and Deb Martilla. As is most everything in life, it's still a work in progress. Most of our ideas started from things we learned from the following pages. And various other sources we (and some other great librarians in our district!) collected here. Some sort of QR code reader app ... doesn't really matter which. I-Nigma, Neo Reader, whatever! If you don't have a mobile device and the codes are on books or papers you will need a webcam. If it is a code on a website you just need to install the Chrome extension QReader. It's not perfect (works much better on actual jpgs versus pdfs) but it is an alternative. 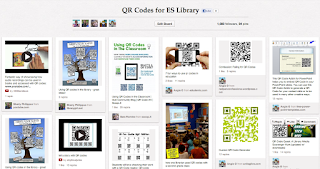 If you are creating your own QR codes there are lots of different websites or Chrome extensions. They all work pretty much the same. Just google or check some of the sites on the Pinterest board. We'll start with QR Code Tours. Of course while Ms. O is a devoted blogger she has not yet mastered the candid camera shot. So there are not any of the kiddos completing the tour. But rest assured Pete is an automatic win. THEY LOVED IT. Click on the pic to download from Google Drive. Then we have a student CREATED tour of a LEED certified school. This is pretty cool because the students worked on researching the different facets of the campus. Not on a LEED campus (like most of us :/)? Never fear! The very same ideas could be used to guide visitors around your older, more historic site. Or maybe a "Leader" tour around the school with audio or video clips linked to QR codes around the building. Or maybe even a virtual tour around a book setting? 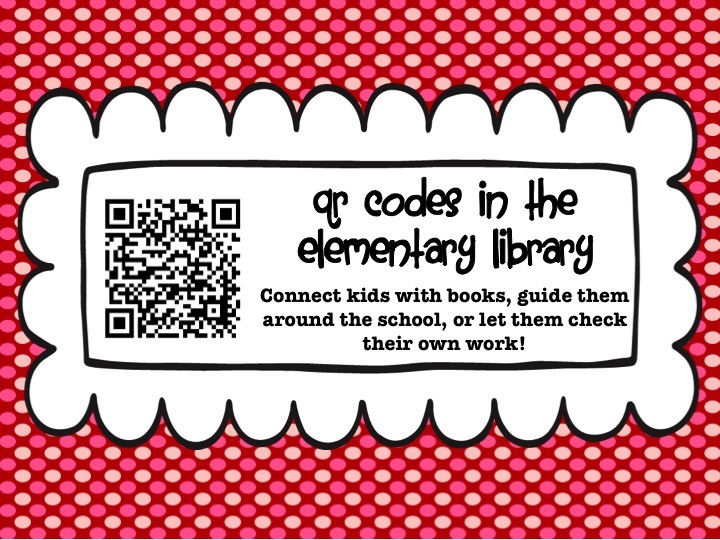 Another possibility is using QR codes in centers ... either as part of the activity or as a way to self-check answers. Then of course BOOKS. There's the obvious link to book trailers or author websites when one was available ... or just the closest most related thing I could find.. Here are the 20 2013-2014 Bluebonnet Award nominees. The numbers correspond to the order of the books on the list. Print out a page on Avery 22805 Labels ... I paid $10 something on Amazon for 600. Here are some little video clips to go with most of the 2X2s. A few book trailers, Sesame Street or National Geographic type 1-2 minute related clips, or "how to" video clips. Again, the numbers just correspond to their place in the list on the website. 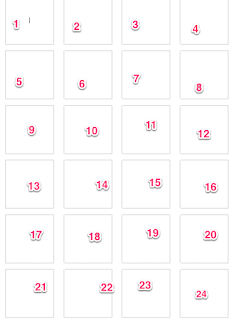 Still working on a better way to display these so that you know which codes go on which books. And still looking for a related video clip for a few of them. Oh my gosh - I love you! I don't know how I never found your blog until now but you rock. 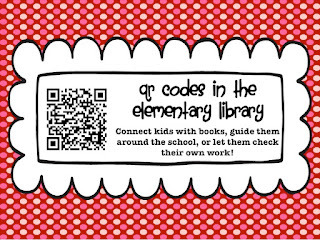 The Bluebonnet/2x2 QR activities you shared will save me hours, thanks so much! You are ever so welcome! And I promise they will be 100% completed as soon as possible (if you look closely they are only about 90 ... we'll say 94% complete). :) Waiting on a video clip or two to get posted. And a couple I just need to DO. I'm so glad! We tried to make our presentation something that could be adapted to different levels. 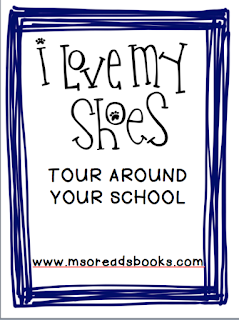 We used your Tour around your school program last year with kindergarten and they LOVED it! However, we are unable to get it to work this year. Can you offer suggestions on how we can use it again? It's a Dropbox problem ... they changed something and I haven't made the time to figure out a new place to save all the audio clips. It means a need for all new QR codes because the current ones lead to dead links and I can't bring them back to the same URL. If I make a new one I'll repost it but for now it's defunct. Sorry!